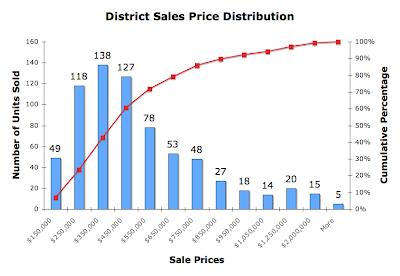 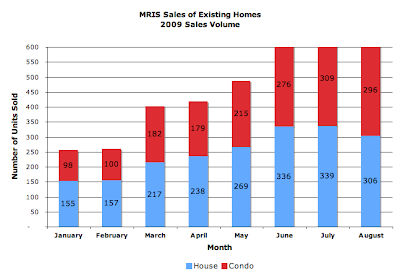 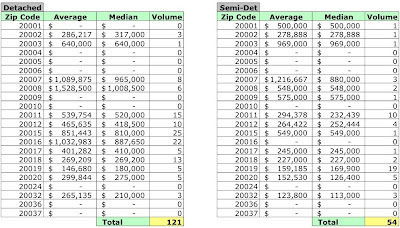 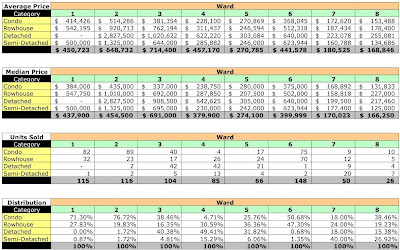 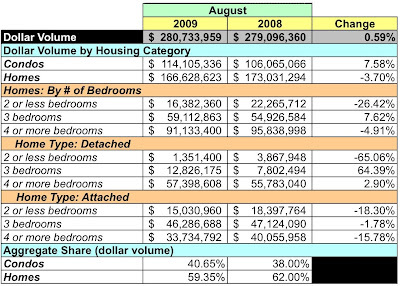 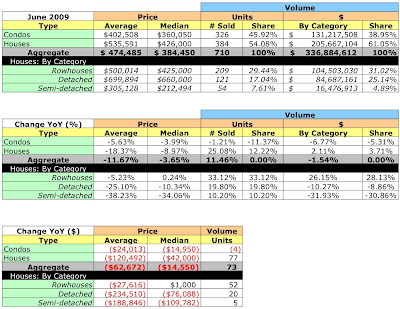 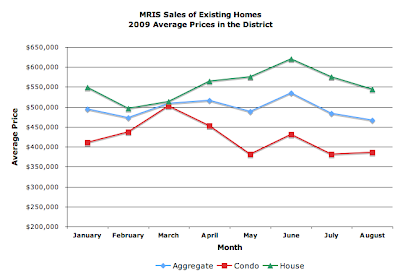 I've begun analyzing the District's sales data for July 2009. 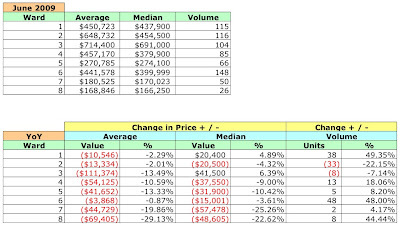 If all goes well, I should complete the analysis by week's end. 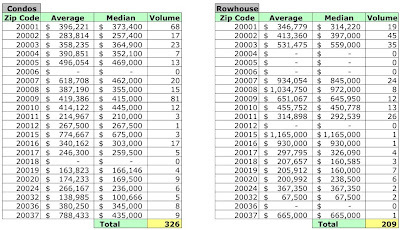 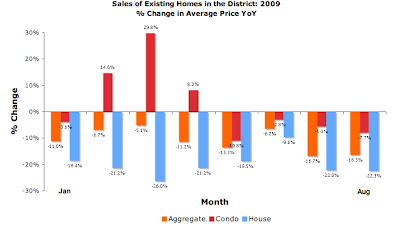 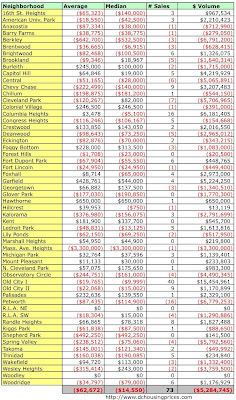 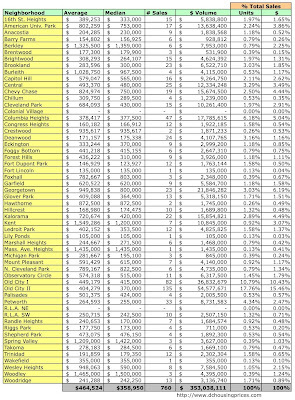 Below is a table showing sales by District neighborhood. 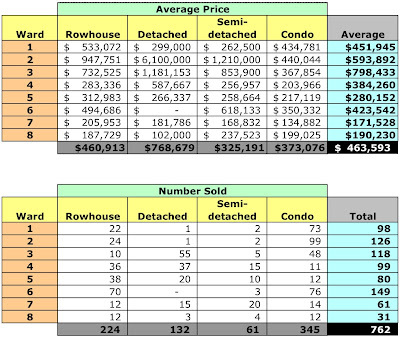 As usual, Old City I and Old City II dominate sales. 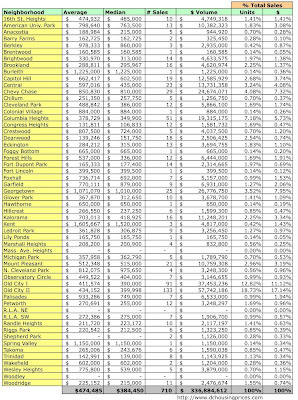 Sales prices were 92.49% of list. 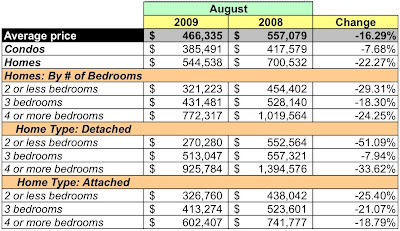 At August's sales rate, there is a 4.9 month supply of condos and 5.54 month supply of homes listed for sale, which would normally be an indicator of a tight market.